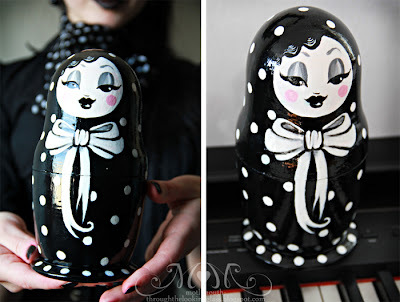 I love Matryoshkas and this one is gorgous. It is for sale at the Through the Looking glass blog. Contact the designer, if you are interested. It is a very beautiful Doll!